you cannot not copy the jar file on other folder but anyway you also don't have to put your files in other folder to install games in your phone, just send the file via irda(if you have) and it will automatically install without any processes. This is really a cool phone in a cheap price. Its not just about free memory, its about the total memory. The free memory reported in Phone Status on standby screen and Memory status in file manager are the same. The total memory if you add up all the values in the Memory Status in file manager was 10.9 in the beginning. Now its 8.1 MB. Whats hapenning is if you delete a deletable file that was in the phone when you purchased it, the file doesn't show up. Neither the memory gets freed for this file. If you reset the phone, the file shows up again. So the file doesn't get really deleted. I would like to know if there is any way of deleting the files present initially in the phone, which are supposed to be deleted (Not the predefined files) and free up the memory also. So far I love it :) Was hard to get used to at first (as I had only ever used Nokias or Motorolas) but now I find it just as easy. My only complaint is that it doesnt have a letter count for when I'm sending sms, so I never know how long my message is. where do you check for it's free memory? is it on the file manager or in the standby mode? if it is in File manager don't worry because even you delete files on it the memory status will not change. it will only show 10.9MB free and not more than that. look at standby mode and click more, the phone status and you will see how much your memory has after deleting files. yes you can download though it's not that fast to download coz the speed of an irda is about 115kbps (standard infrared) if you want faster download use Usb cable for it so more faster you can download. :advise, compress Mp3's of up to 20kbps and you can save more space. clearness of sounds are just similar to a high quality mp3 when heard in speakerphone. u may use musicmatch to do it. Regarding the memory problem that I had posted earlier, I have found out that when I got the phone, the sum of all the values in Memory Status added up to around 10.9 MB. After deleting a 1.9 MB video file, the memory didnt get freed up and the Memory status added up to 8.7 MB and now I have been noticing that its 8.1 MB. Where has all these memory gone? I think it sometimes happens that even if an item gets deleted, memory doesnt get freed up. 'Deepthought' had the same problem. Is there any software that will allow me to view all the contents of the phone directly. Is there any way to free up this memory? Please help. looks like everybody is buyng it, no? hello guys can anyone tell me if it's ok to download mp3's and videos via infrared? I've another link to get java games. You can get almost 150 games, including the game " extreme air snowboarding 3d". BUT , you need to register, it's free. My suggestion is that, 1st attach ur phone wid the pc put the CD in the PC and follow the Screen, if ur Pc says new hardware found then proceed and make ur pc to seach for the driver, select CD, and look what happens if ur pc auto detect the right driver that is really nice, otherwise u can manully install the K500's driver, because both K300 & k500 are same in hardware except the screen. I bought this phone few days back and i also bought a data cable to connect it to my pc. But along with that data cable, there is a cd which contains softwares for different sony ericsson phones. but it does not contain the name of K300. So how do i use this phone to transfer data from my pc to phone? 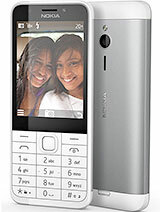 can i use the installation for K500i as this phone resembles it quite a lot. the default code of the phone is 0000(zero,zero,zero,zero) if this don't work go to the manual and look for it's code. don't worry if you fail to type the code correctly coz it's only a security code (similar in nokia)and different from PIN code. well just got mine the other day as a gift so far its a pretty neat phone. havent worked out the jinx yet (how to use the phone)but i will. wanted to know if it can play real tones along with its polyphonic capabilities. jus checking but the phone is off the hook.